If your vehicle has been overheating or doesn’t warm up properly, you may need to replace your thermostat. If the thermostat sticks in the open position, it doesn’t keep the liquid in the engine long enough, so you have trouble getting your car warmed up. 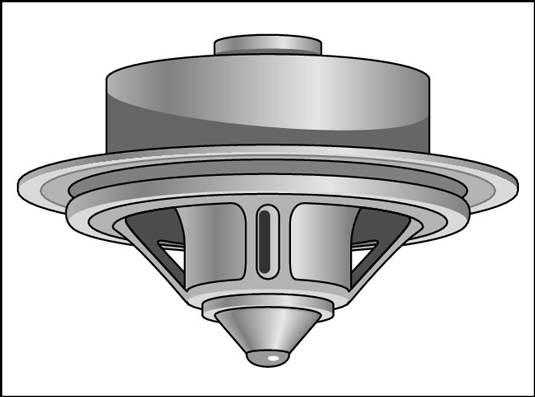 If the thermostat sticks in the closed position, the liquid isn’t allowed to get to the radiator, and overheating results. Because replacing the thermostat is quite simple and thermostats are quite inexpensive, you may want to try this task before you take more drastic measures. Just be sure that you do this when your engine is completely cooled. 1Locate your thermostat if you haven’t already done so. Most thermostats are located where the top radiator hose joins the engine, so these steps deal with this type. 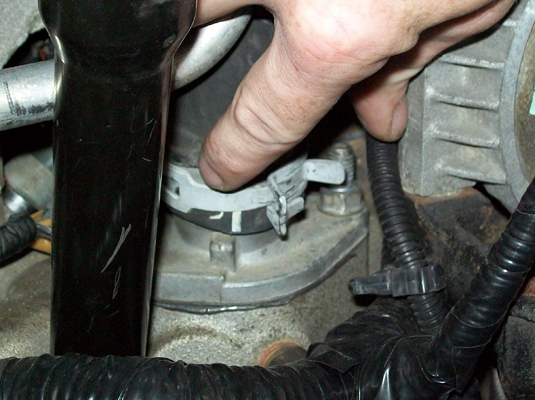 If your thermostat is in the bottom radiator hose, the principle is the same. 2Place a bucket under where you're going to be working. Some fluid will escape, so have a clean two-gallon container handy to catch it, and return the fluid to the radiator when you finish the job. Follow you radiator hose to where your thermostat is located. This is when some fluid will escape and drain into your bucket. 5Remove the bolts that hold the thermostat housing in place and lift out the old thermostat. Compare the new thermostat and its gasket with the old ones. If the new thermostat and the gasket that’s included with it aren’t exactly like the old ones, go back to the store for the right ones. 6Lay the new gasket in place. There’s a gasket around the hole where the thermostat was located — take that off, too. Scrape off any pieces of gasket that may be stuck, but be sure not to let these pieces fall into the hole! 7Drop in and secure the new thermostat. Make sure to place the spring-side down; then replace the bolts. 8Replace the hose and hose clamp. If your hose clamp uses screws, screw it down tightly but not tight enough to cut into the hose. 9Replace whatever fluid ran out of the hose by pouring it from the container into the radiator fill hole or coolant reservoir. Be sure not to pour it on the ground where children and animals can be endangered by it. If you accidentally spill fluid, wipe it up thoroughly before hosing down the area, and then place the rags in a sealed plastic bag before disposing of them.